Are space-aliens real? Is space real? As real as the space between words? Join us for a creative writing and poetry performance workshop to explore science fiction, science fact, and the spaces between. Run by brilliant Essex-based poet and writer Martin Reed. 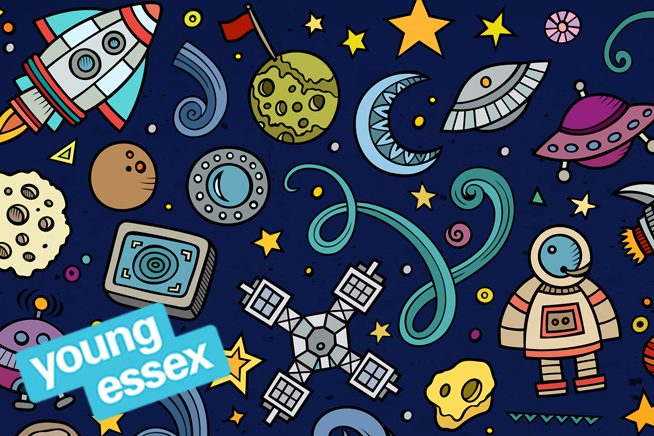 This event is part of Essex Book Festival’s Science and Invention weekend in Chelmsford and Kelvedon Hatch’s Secret Nuclear Bunker. Click here for a list of all events taking place during the weekend.